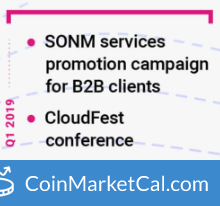 SONM is general-purpose computing system, using a fog computing structure. 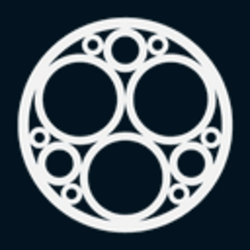 It provides computing power in the most generalized case. 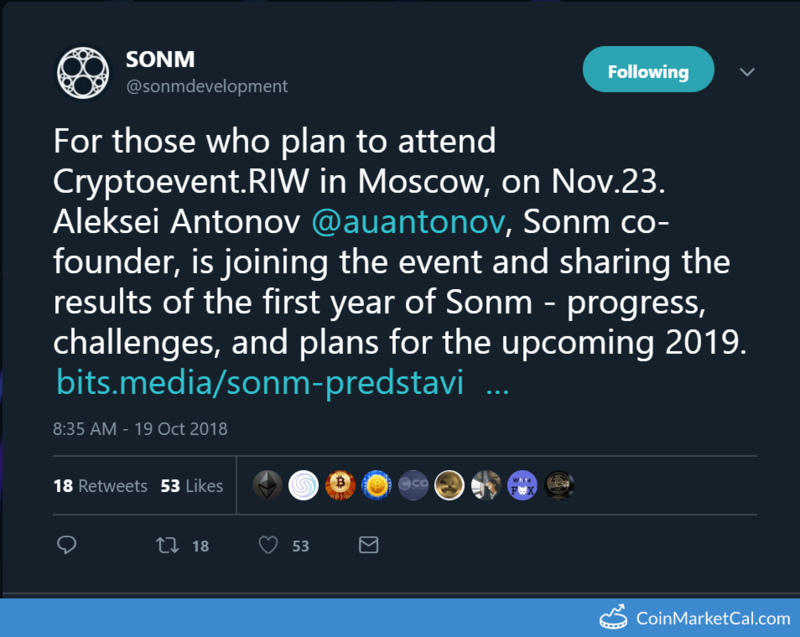 SONM aims to create a global decentralized marketplace of computing power, where suppliers can earn SONM tokens by selling computing power and customers can rent computing power by paying in SONM tokens. 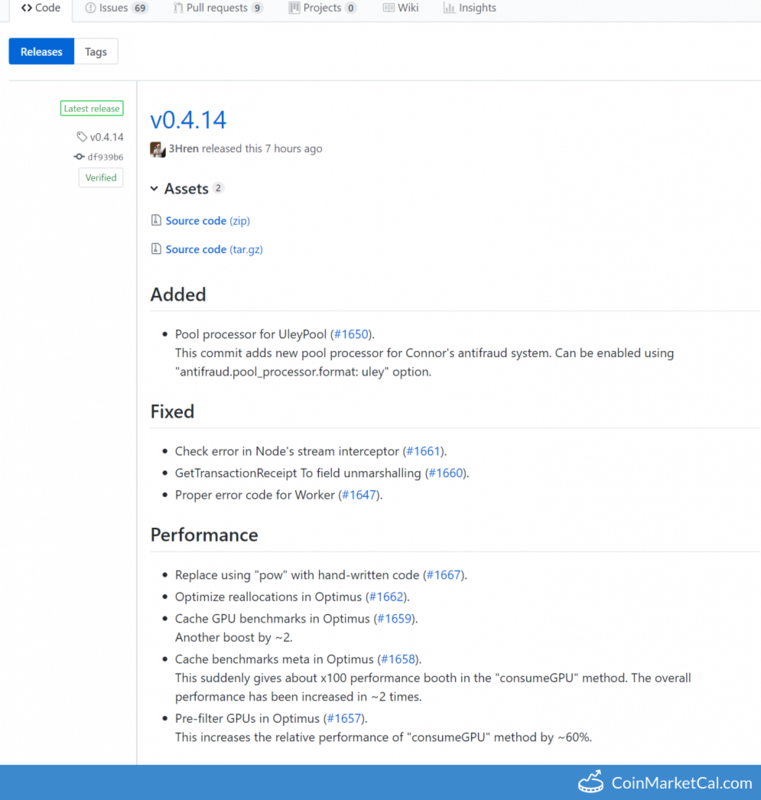 Hybrid fog + cloud infrastructure, kubernetes as a service, and serverless as a service in Q2 2019. 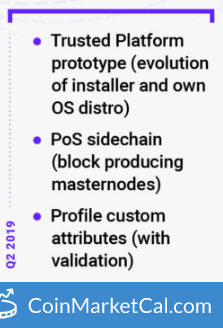 Trusted Platform prototype, PoS sidechain, and profile custom attributes in Q2 2019. 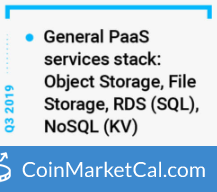 General PaaS services stack with object storage, file storage, RDS (SQL), and NoSQL (KV) in Q3 2019. 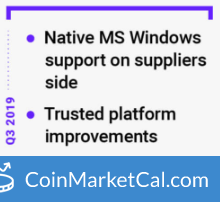 Kubernetes support, decentralized autonomous organization of masternodes owners, cross-chain interconnect, and proof-of-test-case in Q1. 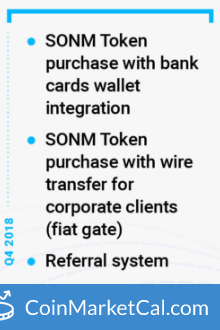 Token purchase with bank cards wallet integration, token purchase with wire transfer for corporate clients, and referral system in Q4 2018. 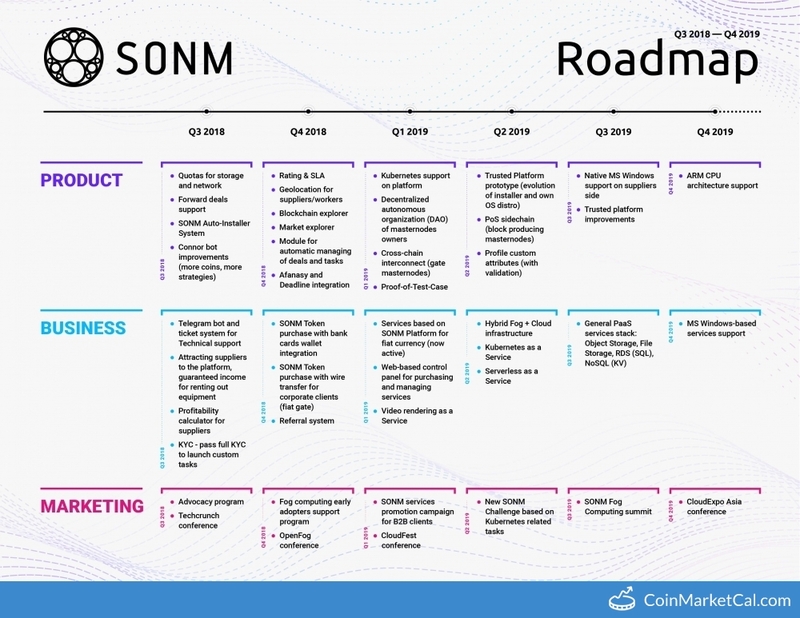 SNM releases rating & SLA, geolocation for suppliers/workers, blockchain explorer, and market explorer by end of Q4 2018. 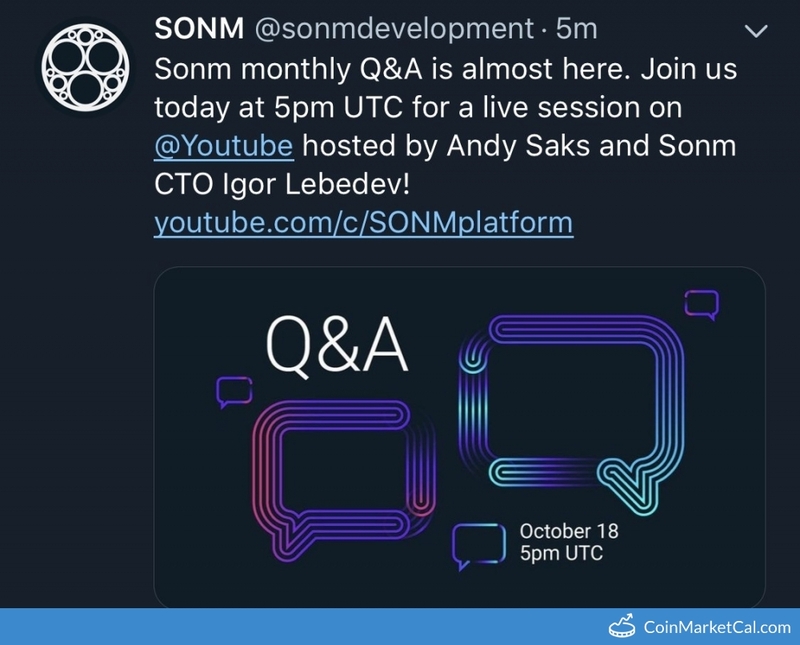 SONM monthly Q&A at 5 PM UTC, which is a live session on YouTube hosted by Andy Saks and SONM CTO Igor Lebedev.